A revolutionary guide, highlighting for the first time how executive function can simplify everyday parenting. How do children thrive? As a parent, you probably think about this all the time. You want your children to have happy, healthy, and meaningful lives—but what’s the best way to support them? In How Children Thrive, developmental pediatrician and parent Dr. Mark Bertin provides a positive, simple, and empowering approach for raising children of all ages. Bringing together mindfulness, new science on brain development, and the messy reality of being a parent, Dr. Bertin has a created a breakthrough guide that will help children—and their parents—flourish. 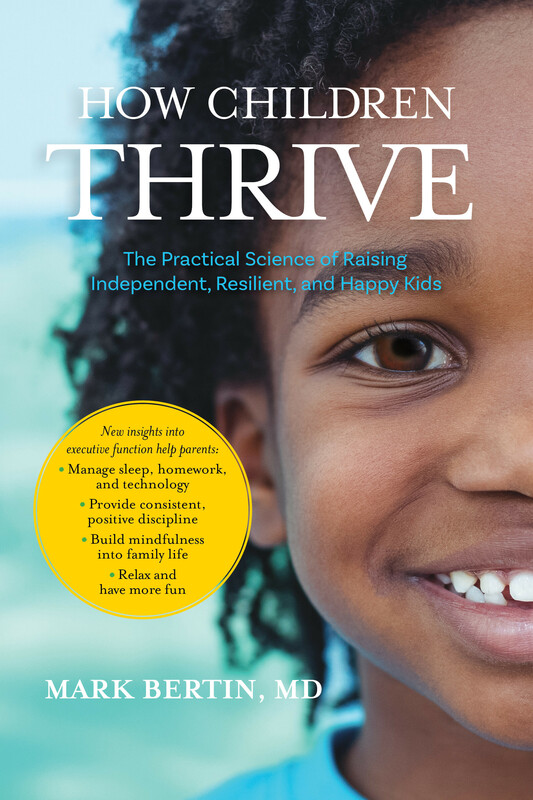 “The pressure to be the perfect parent is overwhelming,” writes Dr. Bertin, “but the truth is the job is too challenging and varied to ever be done to perfection.” With compassion and reassurance, Dr. Bertin presents a relaxed, instinctual, and evidence-based approach to raising children who thrive.